Foremost among these no doubt is the famous La Tour pastel of the président de Rieux, offered by Wildenstein to the French state in 1919, at a time when it could simply not be afforded. It was sold instead to a Greek shipowner for £48,000 (equivalent to an inflation-adjusted £2.4 million in 2015 money). But he went bust before the cheque cleared, so instead it became a Rothschild picture. The Louvre had another chance in 1994, but could not match the Getty’s (undisclosed) offer, so it is now in California: see my essay. Of course the Louvre can hold its head high with La Tour’s full-length pastel of Mme de Pompadour whom casual visitors will assume has always been the property of the French state (or crown). Not so: s he was offered to what was then the Museum central des arts by Auguste-Louis-César-Hyppolite-Théodore de Lespinasse de Langeac, comte d’Arlet in 1797, but rejected; then auctioned six years later and acquired the following year. 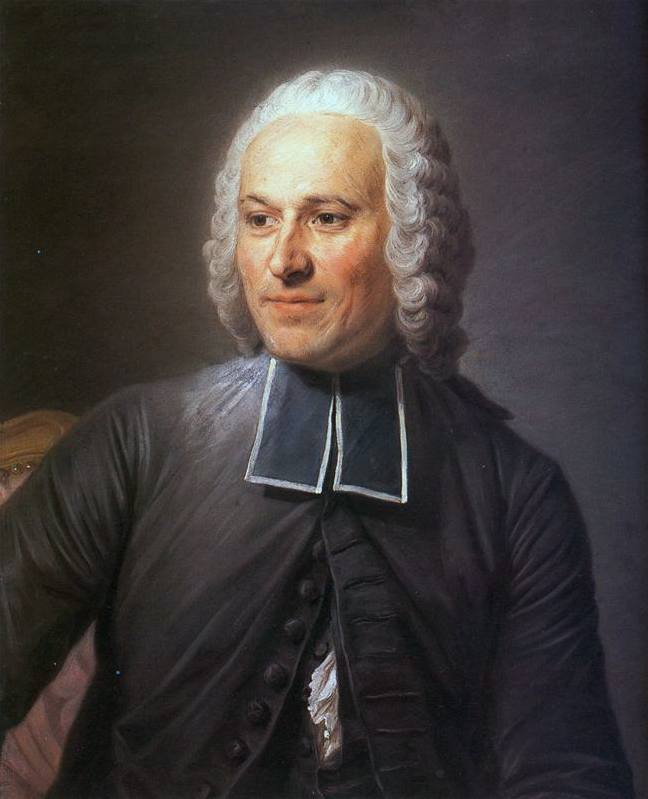 Another important example that succeeded on the second attempt was the splendid René Frémin. But there were other La Tours whose history these files can supplement. The excellent abbé Nollet in Munich, for example (right), is no doubt the “abbé Mollet” rejected in 1866. 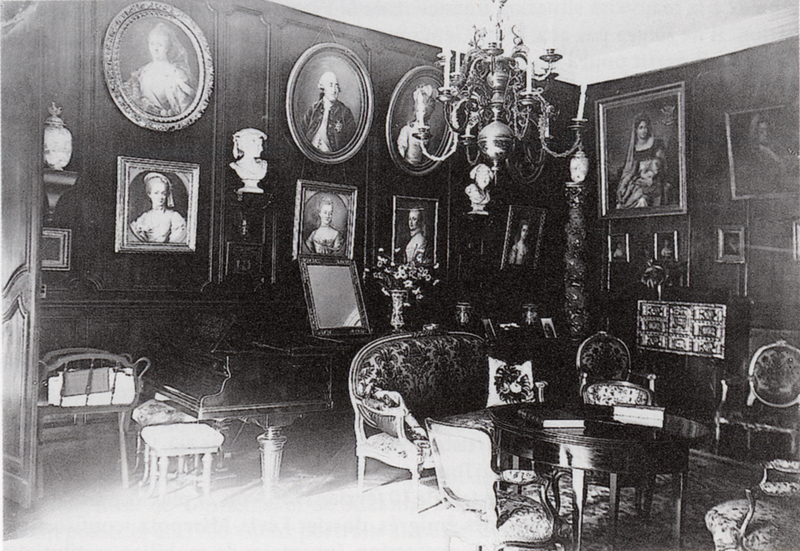 It subsequently belonged to princesse Mathilde before being acquired by a German bank who have it on permanent loan to the Alte Pinakothek in Munich. Among other artists there are a few references to Mme Vigée Le Brun. There is for example a pastel of the “comte de Hagen enfant” which, despite the huge industry (and several websites) associated with her name, has gone unreported until now. It is evidently a portrait of the young Wilhelm Adelbert Hermann Leo Graf von Hagen (1798–1876), son of Christoph Friedrich Wilhelm Graf v. Hagen, königlich preußischer Finanzrat and, from 1790, Ehrenmitglied der preußischen Akademie der Künste, Berlin – as of course was Vigée Le Brun herself, from 1801. Vigée Le Brun is one of the most saleable artists, and a picture by her of a child would attract great interest today. Another curiosity is the letter dated 27 avril 1841 in which “La Marquise de Roncherolles certifie l’authenticité du portrait de la Comtesse de Montesson”: this must refer to the pastel by Vigée Le Brun which I identified in 2013 before it was acquired by the Louvre (see report) 173 years after this first offer. The pastel, with its pendant of the duc d’Orléans, was given to the duc’s premier gentilhomme, M. de Roncherolles, and passed to his daughter-in-law, Delphine de Lévis-Mirepoix, marquise de Roncherolles; the pendants hung in the château de Léran until the 1980s (where they can be seen in a 1950s photo, below), with pastels by Perronneau and Pougin de Saint-Aubin (for the former, see Dominique d’Arnoult’s monograph, where the photo was reproduced, and, for the story of the latter and of the family, my essay). I am happy to have contributed both to the discovery of these works (although they are only secondary versions) and to establishing their provenance. Just one more example: the striking self-portrait of Suzanne Roslin copying La Tour’s self-portrait (shown at the top of this post: it is still owned privately). This is a work that ticks all the boxes for museum acquisitions today (apart from the fact that it is a pastel): not just a self-portrait, but a double, almost a triple one – Gidean self-referentiality, if not strictly mise en abyme; an instruction in pastel technique (including the curiously important question of which direction to sharpen your crayons, dealt with in a number of technical treatises); and – I hope this doesn’t sound like Sir Tim Hunt – a female artist (but one whose talent speaks for itself). The provenance of the pastel, last seen in public at the 2004 La Tour exhibition, was reported in that catalogue simply as having remained in the artist’s family until 1913. But the Archives file reveals that it belonged to a Mme Oudot when it was offered to (and rejected by) the Louvre in 1847. She was Adèle-Pauline-Suzanne Martineau (1789–1873), the artist’s granddaughter. By the time of the 1913 sale, the family were more conscious of the value of the picture, and the price paid was 75,000 francs (equivalent to some £300,000 in today’s money). At some stage in its history the pastel has suffered, and it seems a particular shame that it was not kept in museum conditions from the earliest opportunity. 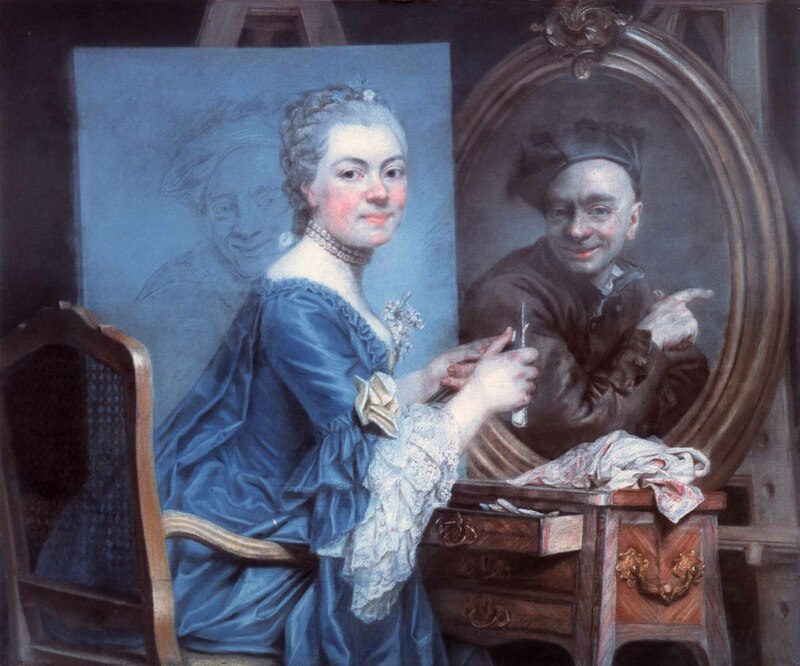 La collection de pastels du Louvre ne s’est guère enrichie, hélas, ces dernières années, sinon, en 1982, d’un beau pastel de Liotard (Portrait de Madame Tronchin, née Anne de Molesnes). On the other hand some caution is always necessary. Louis Gonse, writing in 1910 about the acquisition of the La Tour pastel of d’Alembert, lamented the Louvre’s failure to buy the self-portrait now in Amiens (justly), as well as the loss to Pierre Decourcelle (now in an Australian museum) of a version of the abbé Pommier which is relegated to copy status in the Dictionary.